Urban cycling. 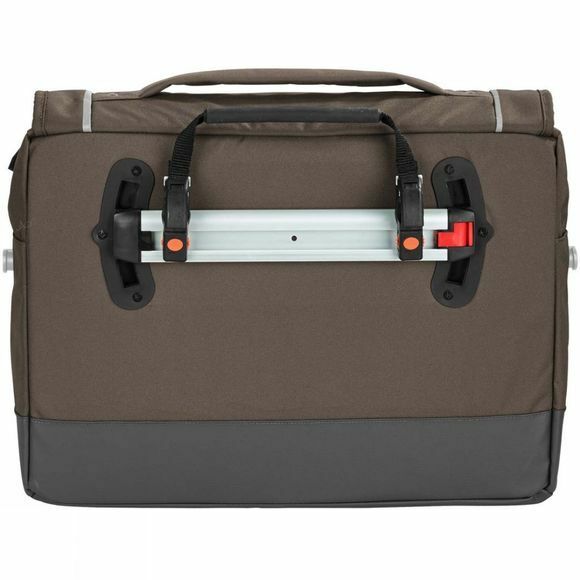 The vertically formatted Cyclist Briefcase with upbeat urban design and attachment rail for bike use, is made from robust primary material in a textile look and certified in accordance with the strict bluesign standard. The bottom part made from tarpaulin is extremely durable and impervious to dirt and grime. You can safely stow your laptop (max. 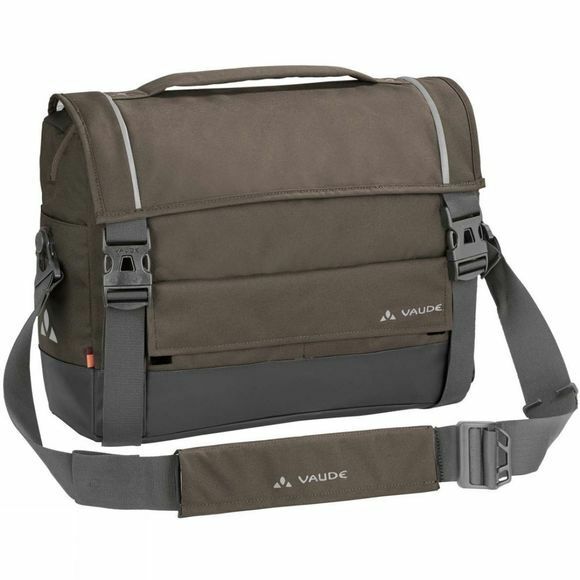 15.6") in the well-padded compartment, while your other documents and essentials neatly fit into the main compartment and numerous organiser pockets. A removable, adjustable attachment rail lets you attach your rear pannier to the gear rack. Stow the Plug and Ride rail in a side pocket when you want to carry the bag over your shoulder. With low key reflective prints, carrying handle, raincover and removable shoulder strap. Green Shape is your Vaude guarantee for eco-friendly products – made from sustainable materials and resource-conserving production.